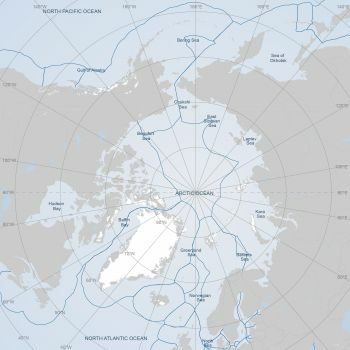 Arctic States' EEZs (map: Arctic Portal) This section explores some key-feutures related with the Law of the Sea and the Arctic region. 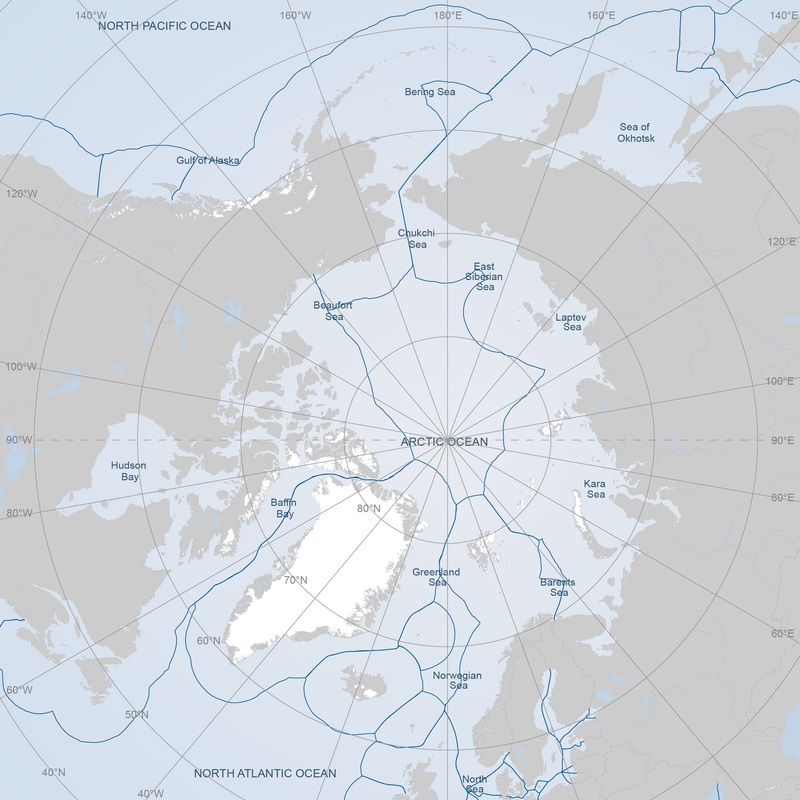 As the Arctic region consists of a large Ocean surrounded by land, the Law of the Sea and its applications become particularly relevant in this context. The main legal instrument regulating use of seas and oceans, and their resources, by States is the 1982 United Nation Convention on Law of the Sea (1982 UNCLOS), which clarifies rights and responsibilities of States and addresses issues as navigational rights, territorial sea limits, economic jurisdiction, legal status of resources on the seabed beyond the limits of national jurisdiction, passage of ships through narrow straits, conservation and management of living marine resources, protection of the marine environment, a marine research regime binding procedure for settlement of disputes between State, to name but a few. Another key legal instrument will be the International Code for Ships Operating in Polar Waters (Polar Code)​ and related amendments under both the International Convention for the Safety of Life at Sea (SOLAS) and the International Convention for the Prevention of Pollution from Ships (MARPOL). The Polar Code and SOLAS amendments were adopted during the 94th session of IMO’s Maritime Safety Committee (MSC), in November 2014; the environmental provisions and MARPOL amendments were adopted during the 68th session of the Marine​ Environment Protection Committee (MEPC) in May 2015, and they are expected to enter into force on January 1, 2017. The Polar Code and related amendments will regulate shipping in Polar waters (both Arctic and Antarctic), with the main focus on safety of shipping and protection fo the pristine environment.